According to the provisions and rules prescribed in Warehousing (Development & Regulation) Act, 2007 and the Warehousing (Development & Regulation) of Warehouse Registration Rules, 2017, any person commencing or carrying on the warehousing business and wants to issue Negotiable Warehouse Receipts (NWRs) has to get the warehouse registered with the Warehousing Development & Regulatory Authority (WDRA). Amendments to the Rules and Regulations and the relevant circulars on insurance and guidelines on empanelment of inspection agencies and inspection of warehouses are also available on the Authority’s website. 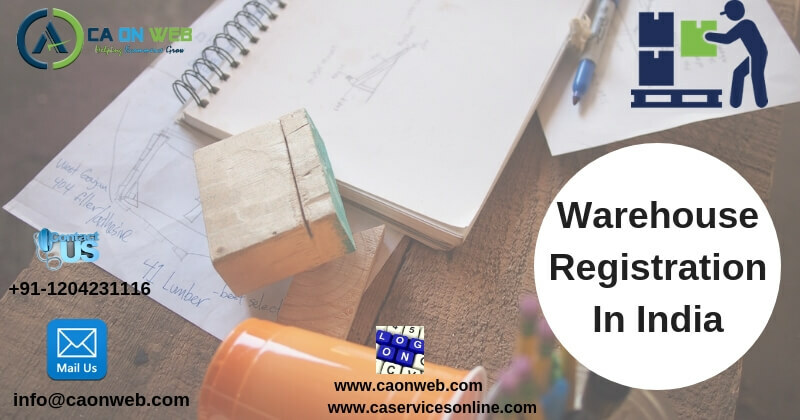 Our team at CA on Web is available at your service and will help you to obtain the Online Warehouse Registration in India by complying all the requirements of documents involved in the registration process. You just need to prepare the documents and our team of expert professionals will handle the cumbersome registration process for your Warehouse Business in India and helps you in getting warehouse license in India. The applicant may make an application to the Authority for registration of its warehouse in the prescribed Form available on the website of the Authority. A person desirous of carrying on the business through multiple warehouses he may submit only one application for registration in respect of all the warehouses. After getting the Registration certificate, the warehouseman shall display the certificate and keep it pasted until suspended or revoked, in a conspicuous place in the principal place of its business. The registration certificate shall be non-transferable in nature. The warehouse registered under the Act can be inspected at any time by the Authority or its authorized representative without giving prior notice for the verification of the books, records, papers, and accounts etc. relating thereto. According to the GST Act, all warehouseman or godown owners or any other place used for storage of goods and every transporter, irrespective of whether they have GST registration are required to maintain records related to consigner, consignee and other relevant details of the goods stored or transported. Thus, if the GST registration is mandatory for any godown, warehouse or transport, they are required to register themselves under GST by filing Form GST ENR-01. On filing and verification of the GST registration application form for unregistered godown, warehouse or transporter, a unique enrollment number would be provided to the godown or warehouse or transporter. 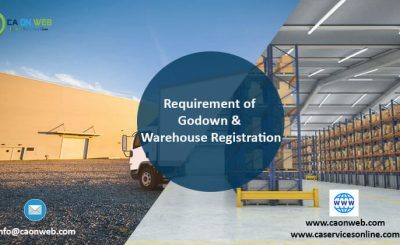 All warehouse or godown owners and/or operators are required to maintain books of accounts with respect to the period for which particular goods remain in the warehouse, including all the matters relating to receipt, dispatch, movement, and disposal of such goods. Further, a warehouse or godown owner or operator is required to store the goods in a proper manner so that they can be identified item wise and owner wise and further it is also required to help in any physical verification by the proper officer on demand.